A delegation of Tencent, one of the biggest Chinese music companies of the world, called Federal Minister for Information and Broadcasting, Chaudhry Fawad Hussain, on Monday and showed keen interest to invest in the fields of film and music in Pakistan. He said the Pakistani music was highly popular in various regions, including the Sub-continent. 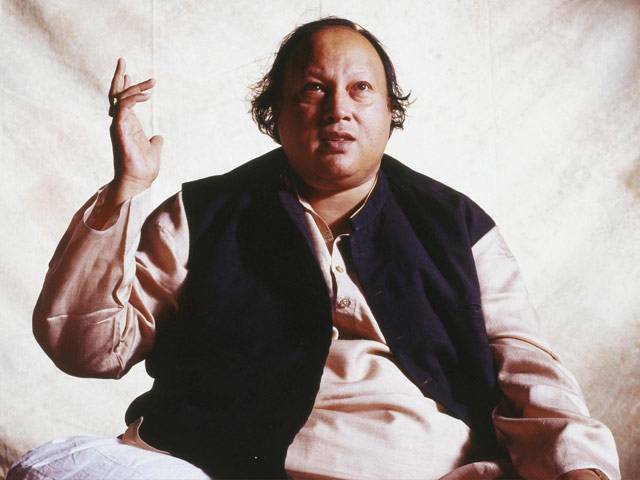 “Our country has produced one of the legendry musicians, Ustad Nusrat Fateh Ali Khan, who not only dominated the scene of music in the Sub-continent but made his mark at the global level too,” he added. The minister told the delegation that Lok Virsa, an attached department of the Ministry of Information, was also working to preserve the dying musical instruments with a view to protect the historical music. Fawad said the current government had introduced a new revolutionary visa regime to encourage tourism, sports and investment in the country. “We are open to investment in the fields of film and music as these are vital mediums to promote values and culture of any society,” he said. He also invited the Chinese film-makers to come to Pakistan and shoot the scenic beauty of its northern areas. The minister stressed the need for a formal agreement between the Chinese company and the department concerned of the Ministry of Information with the view to rejuvenate music and to strengthen the unique bond of friendship between the two countries even further. The delegation appreciated the immense potential and talent of Pakistanis in the realm of music and showed their interest for collaboration in the fields of film and music.